This entry was posted in Randy's blog entries on February 1, 2019 by randy. This morning, we had a large group of folks gather for the February First Friday Book Synopsis. 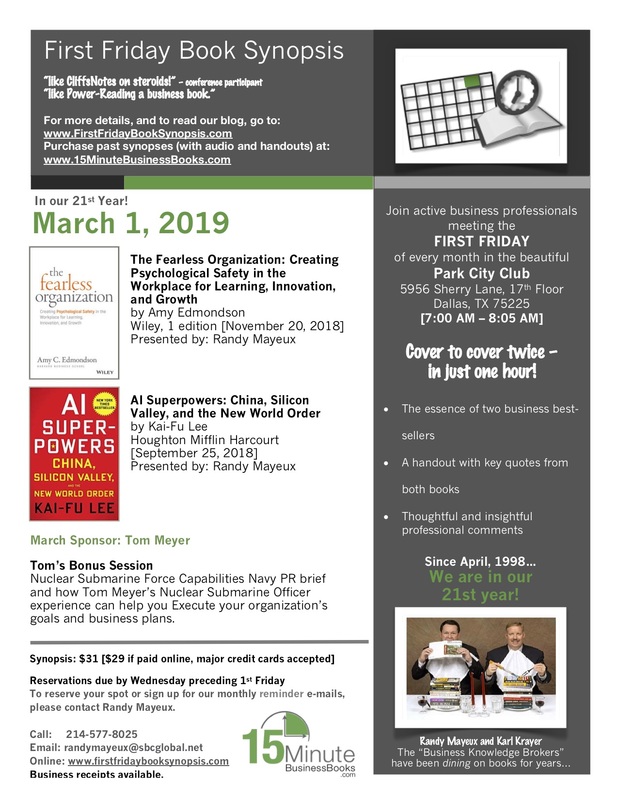 Over 130 people gathered – I think our largest attendance ever at the Park City Club. I hope you can plan to join us. You will be able to register soon from the home page of this web site. Here is the flier with the details. Click on image for full, printable view.